← Buckle Up For TRID! 2 Months In…How is TRID? Now that TRID ( TILA-RESPA Integrated Disclosure rule) has been in place for two months, how is it going? I LOVE IT! I stated in a blog before TRID came out that I was in favor of TRID, especially getting the Closing Disclosure (old HUD1) out 3 days prior to closing. I’ve been in the mortgage industry since I graduated from George Mason University in 1986. That’s 30 years. My biggest beef with how the industry operates has been the last minute nature of everything. A customer going to closing and not knowing how much money they need is just unacceptable. Finally this has been resolved. 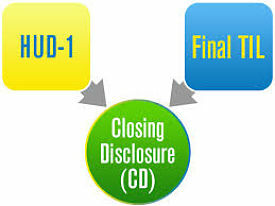 With TRID, closing can not occur any sooner than 3 days after The Closing Disclosure has been sent out. And on top of that The Closing Disclosure needs to be correct. There are tolerances allowed but only slight ones. No more closings where the customer thinks they need $10,000 only to find out it’s $15,000, therefore basically forcing the customer into making a decision under severe stress. The other great aspect of TRID is that The Closing Disclosure has to be in line with the initial disclosure, The Loan Estimate. The Loan Estimate has to go out within 3 days of application so this rule also helps eliminate surprises before closing. When picking a mortgage company for a purchase make sure the mortgage company sends out The Closing Disclosure before the loan is clear-to-close. Some mortgage companies will not send out The Closing Disclosure until the loan is clear-to-close and this can delay closing. There is no reason for the company to wait that long, it is just not acceptable. If you’ve closed a loan under the new TRID rules please share your experiences.